Settlement classes are an opportunity to expand upon all that students are learning in Individual Instruction. From developing critically important theory and ear training skills in Advanced Music Workshop and Musicianship, to unlocking their most creative selves through Composition, to exploring new genres of music in Rock Band and Music Technology and Production, Settlement has it all. In our classes, students will find the tools and guidance they need to develop their innate abilities and find the confidence to shine. For ages 6 through 12, students participate in a one-hour weekly lesson with peers. This class is an alternative to Individual Instruction in the first year of study and prepares students with the necessary musical knowledge to enter into Individual Instruction in their second year of study. In groups of six to eight students (four for piano), students learn to play an instrument in a supportive and dynamic environment that emphasizes technique, musicianship, note-reading and ensemble playing. All students are strongly encouraged to enroll in Musicianship (music theory and ear training, age 9 and older) or Children’s Music Workshop (ages 3-9) as an important complement to their Individual or Group Beginning Instruction. World famous method for beginning study that emphasizes the same skills that young children need to learn language – listening, repetition, encouragement, and adult involvement. All teachers are specially trained in method. Participation of one parent/guardian is required of all students. This program is available to students between the ages of 4 and 8 for cello, guitar (starts at age 5), piano, and violin. Recitals and Play-ins, scheduled periodically throughout the year, will supplement lessons and classes. Intermediate theory skills, with strong emphasis on ear training, rhythm, movement, and ensemble skills for students age 8 and 9. Includes improvisation, composition, and performances of elemental chamber music pieces. Students between the ages of 12 and 18 learn to compose original music focusing on three areas: melodic development, accompaniment, and instrumentation and arrangement. Essential to music instruction, Musicianship offers theory and ear training to students between the ages of 9 and 18 at all experience levels. 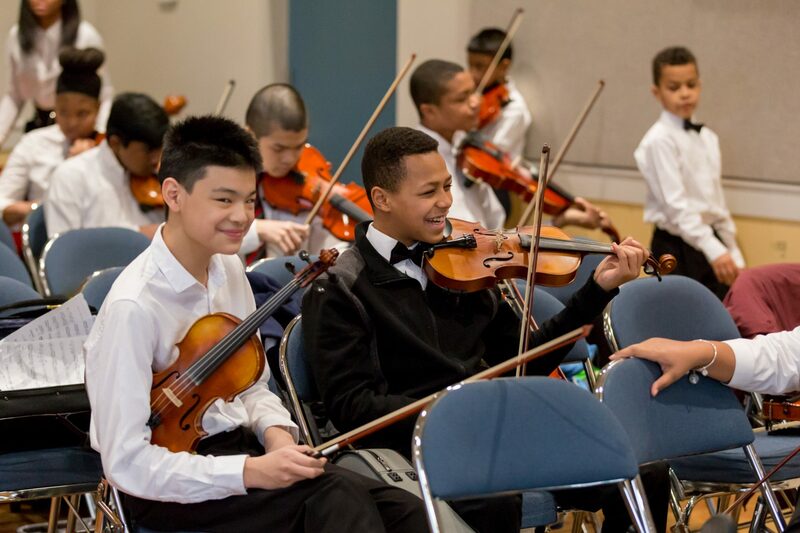 Students receive a comprehensive education in the fundamentals that includes notation, scales, intervals, triads, musical terminology, transposition, harmony, and counterpoint which assists them in all of their musical studies. Explore the latest techniques in digital production of music, elements of music composition, and songwriting using Apple Logic Pro and GarageBand. For students age 12 through 18. Explore the styles of African, South American, and Caribbean music on instruments such as the Djembe, Djun-Djun, Shekere, and Talking Drum in a dynamic group environment. No prior musical experience necessary.